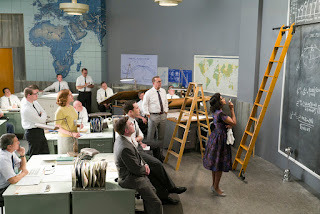 The legendary Oscar winning actor Kevin Costner stars in the highly-inspiring movie based on the lives of real women who dared the odds in “Hidden Figures” along with Golden Globe winner and Emmy nominated Taraji P. Henson, Oscar winner Octavia Spencer, Grammy nominated Janelle Monáe , Golden Globe nominee Kirsten Dunst and Jim Parsons with a powerful score from multiple Grammy winning musician/composer Pharrell Williams. 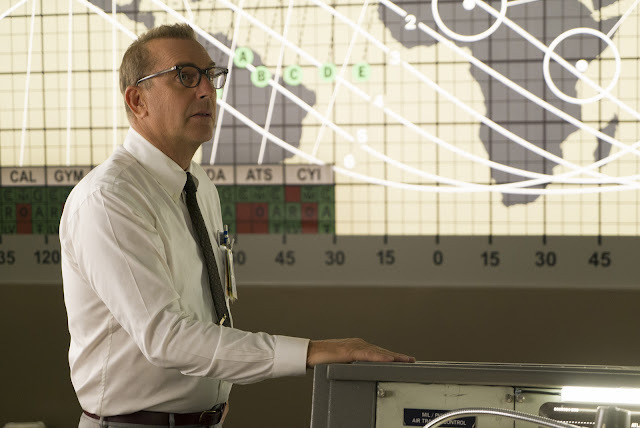 In “Hidden Figures” Costner plays the head of NASA’s Space Task Group, (the fictional) Al Harrison, who needs the best possible mathematicians regardless of gender or race. Harrison wants Katherine Johnson (Henson) to work on John Glenn’s mission, because she has the skills needed to calculate the astronaut’s trajectory, which entails writing new formulas, making sure Glenn returns to Earth safely. As the movie unfolds, we discover that although Johnson is working on the mission, she is given little credit and is hamstrung in her endeavors because of endemic prejudice. During the turbulent 60s, battling discrimination at home and in the workplace, Katherine Johnson, (Golden Globe winner and Emmy nominated Taraji P. Henson) Dorothy Vaughan (Oscar winner Octavia Spencer) and Mary Jackson (Grammy nominated Janelle Monáe), all stellar mathematicians, were undeterred in their pursuit of academic excellence. Instrumental in helping America to eventually win the space race, they broke down barriers, laying the groundwork for future generations. “People like Al Harrison succeed because they have a strong desire to compete, along with a national vision and a level of personal pride. This is somebody who does not want America to lose [the space race]. Competition is a really healthy thing and make no mistake, this was a competition and we (America) were losing. Only a person who’s losing is really looking at things carefully, deciding that they’ve got to do something different. He thinks the best thing is to get to the top. But he realizes that NASA wasn’t even allowing the best people (like Katherine Johnson) to have their voice,” concludes Costner. “Hidden Figures” opens February 22 in cinemas nationwide from 20th Century Fox to be distributed by Warner Bros.